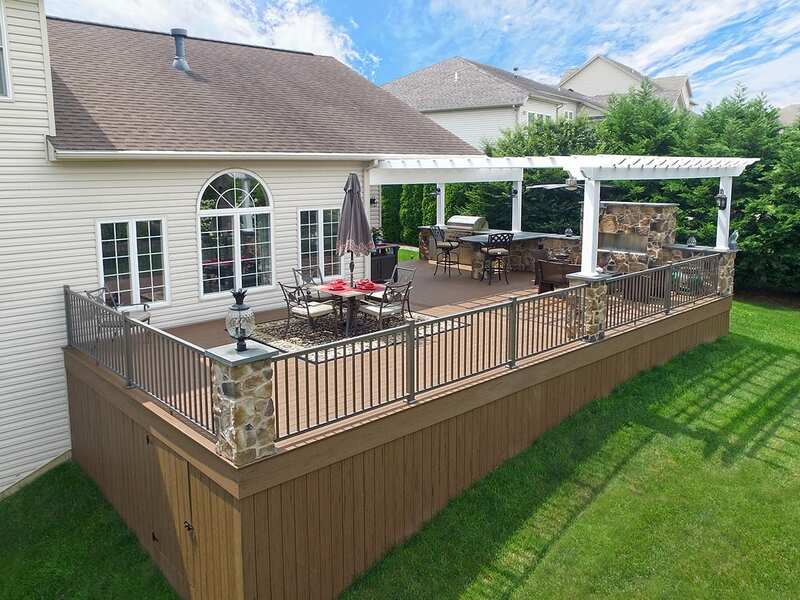 This deck design has a fantastic amount of utility to it! Under the vast vinyl pergola is a sitting space designed to enjoy the “Empire Carol Rose Linear Outdoor Fireplace.” From there we follow the beautiful stonework knee wall to the rounded flagstone counter right next the grill station. And just adjacent to the pergola is a spacious dining area with ample under deck storage.